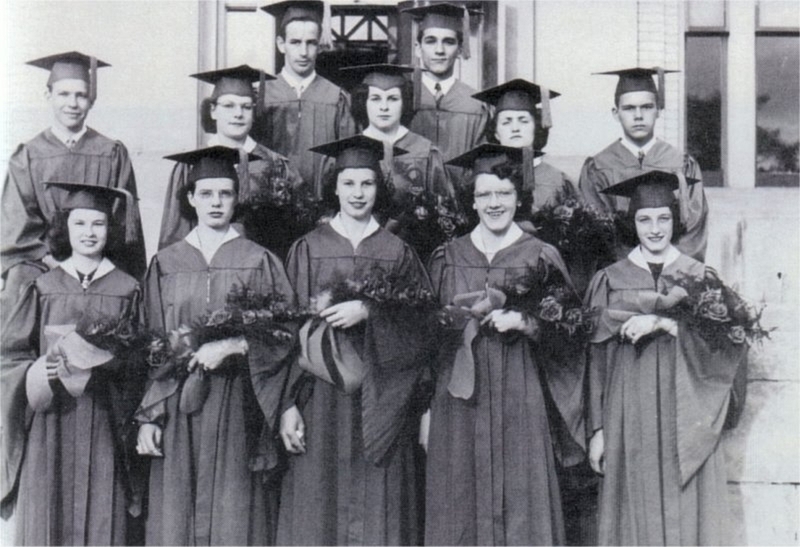 1st row: Mary Charron, Lauris Storie, Ruth Howland, Norma Hatch, Rosalie Gotham. 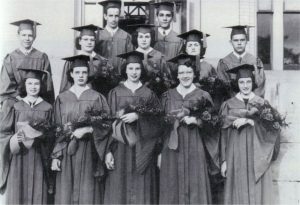 2nd row: John Rider, Barbara Towne, Patricia Johnson, Pauline Colton, John Sibley. 3rd row: Dennis Chase, Darrel Fraser.